Our 9th Annual Lecture on Jewish Genealogy, co-sponsored by Hebrew College and the Jewish Genealogical Society of Greater Boston. With a population of close to half a million, the Jews of Latin America are a microcosm of parallel diasporas. A portion dates back to the colonial period and is defined by a converso identity, another traces its roots to the Pale of Settlement, and yet another one is linked to the Ottoman Empire. These disparate family trees result in a rich, astonishingly heterogeneous demographic forest. Distinguished scholar Ilan Stavans, internationally known as the chronicler of Latin American Jewish life, will survey the forest. 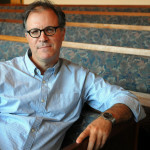 Ilan Stavans, born in Mexico, is the Lewis-Sebring Professor in Latin American and Latino Culture at Amherst College. He is one of today’s preeminent essayists, cultural critics, and translators. His many notable books include On Borrowed Words, Spanglish, Reclaiming Travel, Latino USA, El Iluminado and the children’s book Golemito. From 2001-2006, he hosted the syndicated PBS show, Conversations with Ilan Stavans. He is also a playwright, actor, novelist, historian and publisher (Restlessbooks.com). The lecture will be followed by refreshments and a book signing. A selection of Stavans’ books will be available for purchase. Reservations: This lecture is free and open to the public. However, space is limited and reservations are required. Click here to register.